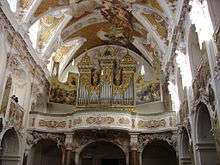 The see was canonically erected in about 739 by Saint Boniface as the Diocese of Freising and later became a prince-bishopric. 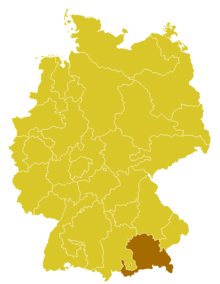 The diocese was dissolved in 1803 following the collapse of the Holy Roman Empire, although a titular bishop ruled until April 1, 1818, when Pope Pius VII elevated the diocese to an archdiocese with its new seat in Munich, rather than Freising. The archdiocese is divided into forty deaneries with 758 parishes. Its suffragan bishops are the Bishop of Augsburg, the Bishop of Passau, and the Bishop of Regensburg. The most famous archbishop was Joseph Ratzinger, who was elected as Pope Benedict XVI. In 1294, the Bishop's status as a prince of the Holy Roman Empire was confirmed. Joseph Konrad Freiherr von Schroffenberg (1790–1803). After his death, the temporal authority of the bishop was mediatised and abolished by the Elector of Bavaria. Joseph Jakob von Heckenstaller, priest, vicar capitular (1803-; was also named first a vicar general of the metropolite in Salzburg, and soon a papal delegate as "vicar capitular apostolic", but never raised to episcopacy). The episcopal functions were exercised by auxiliary bishop, Johann Nepomuk Wolf. 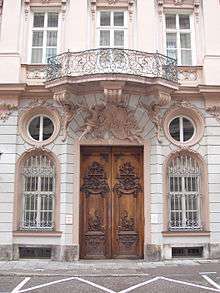 The residence of the Archbishops of Munich and Freising is the Palais Holnstein in Munich. ↑ Maß, Josef (2005). "Der hl. Bonifatius und das Bistum Freising". Beiträge zur altbayerischen Kirchengeschichte (in German). 48: 9–27.